Success Kid. Old Spice Man. Rage Comics. These days, memes are spreading like wildfire all over the internet, and clever marketers are jumping on the opportunity to use these viral pieces of content to their advantage. And honestly, who doesn't love a good meme? They're funny, clever, and great for social sharing. As a marketer, "memejacking" -- or hijacking popular memes to describe a certain situation -- can be a great way to create fun, engaging marketing content that shows off your brand's personality and likability. And we could always use some more content. In fact, the image we used above is a memejacking just for marketers. Keep reading for more meme examples, as well as tips for how to memejack your own. Let's take a step back for a second for all you marketers we lost at the mention of the word "meme." First of all, just to keep you from sounding ignorant at your next marketing meeting or cocktail party, meme is pronounced "meem," rather than "meemee" or "mem-ay," as one anonymous HubSpotter here has been known to mispronounce it. A meme is quite simply a concept, behavior, or idea that spreads, usually via the internet. Memes most commonly manifest themselves in a visual such as a picture or a video, but it can also take the form of a link, hashtag, a simple word or phrase (e.g. an intentional misspelling), or even an entire website. Memejacking for marketing is helpful for so many reasons. We've touched on a few of these already, but let's elaborate. A concept doesn't exactly get classified as a meme if it's not fun, engaging, and wildly popular. That's why memes are so great for marketing. Rather than creating something from scratch and crossing your fingers that it "goes viral," you're leveraging an idea that is already successful. You're aware of all the fuss about visual content lately, right? Visual content is practically made for social media sharing, and because memes are usually visually oriented, they make great fodder for your social media accounts such as Facebook, Instagram, and Pinterest. Because memes are so share-worthy, they're fantastic for generating traffic and visibility to your social media accounts. Memes attract likes, repins, comments, and shares like crazy -- making it more likely that your social content will gain traction in social media and spread. 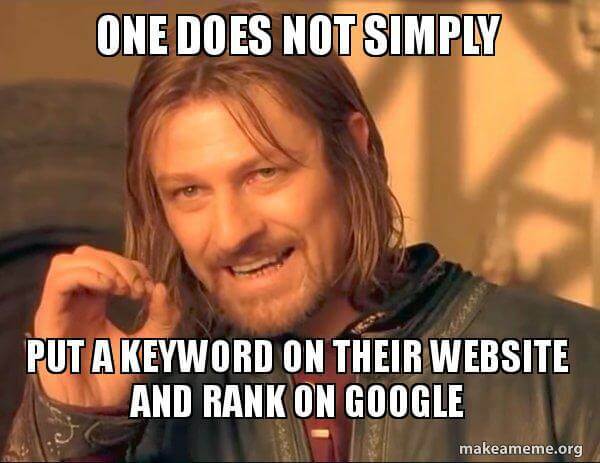 And when memes are used on your own website/blog, you'll reap the benefits of traffic and inbound links, too. For inbound marketers, content creation is a daily task. 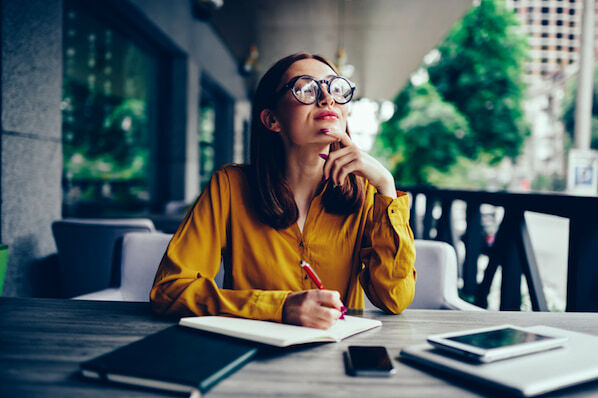 Because so much of your marketing campaigns depend on content (and fresh content, at that), having some easy-to-create types of content at your disposal is a marketer's dream come true. Memes offer just that. They're easy and usually take little time to create. At just the right moment, Kermit the Frog becomes a hilarious template for passive aggression. 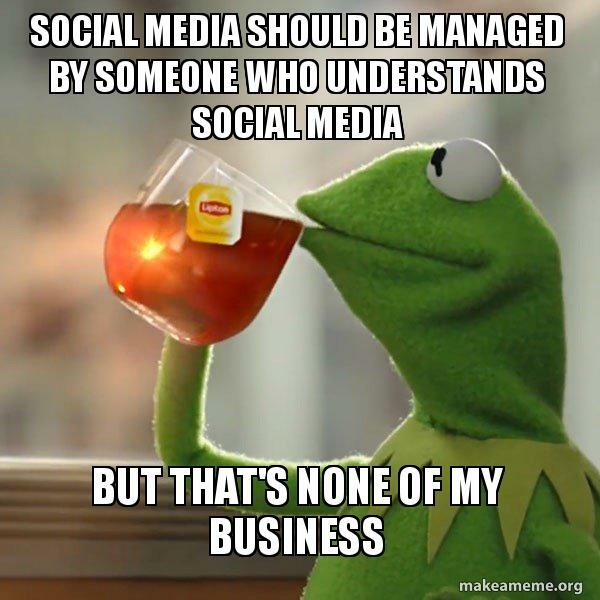 The caption below the picture of Kermit always stays the same; it's the subtle gripe above Kermit that makes this meme yours. The meme might help you express your audience's typical challenges -- but that's none of my business. You don't need to be a fan of the TV show, Futurama, to appreciate the look of suspicion on the face of Fry, shown above. This meme is known by its opening phrase, "Not sure if ..." It allows any user to memejack the rest with a caption that describes a funny, perhaps exaggerated uncertainty among their audience. Simplicity is the source of the funny in this meme. Meet Bill, an adorable stick-figure model for the behavior you know your audience would endorse. 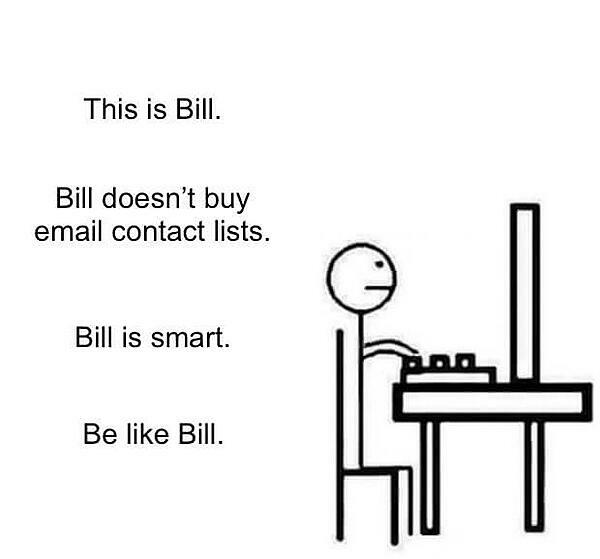 All you have to do is describe him in three lines, all leading up to "Be Like Bill," the last caption on every iteration of this popular meme. Some memes are designed to identify with the reputation struggles of your audience. The one above speaks for itself. 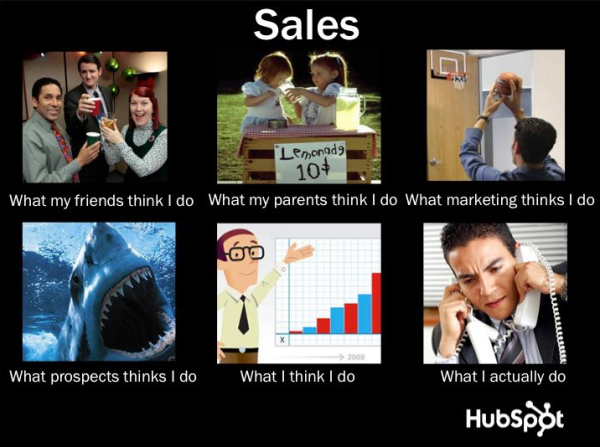 When HubSpot memejacked the "What People Think I Do/What I Really Do" meme for our Facebook page, our sales-themed meme generated an impressive 453 likes, 57 comments, and 256 shares, while our marketer version accumulated a whopping 460 likes, 53 comments, and 337 shares. Success Kid is a meme that has stood the test of time. There's no requires text on this one -- it's a template for any extreme stroke of luck you know your audience would resonate with. 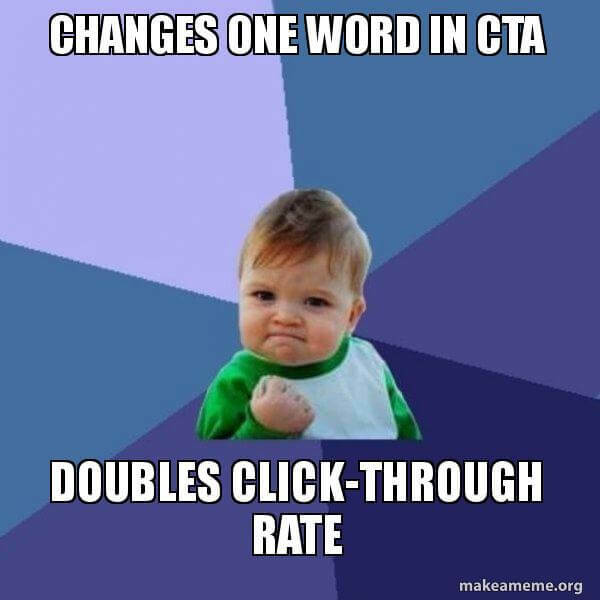 The caption above doubles as a true story: the smallest changes to your call to action (CTA) copy can change its appeal tremendously. The characters above need no introduction, but this meme might. With his arm around Woody, Buzz Lightyear offers a gesture of optimism (or sarcasm, depending on how you play this one) for your audience. 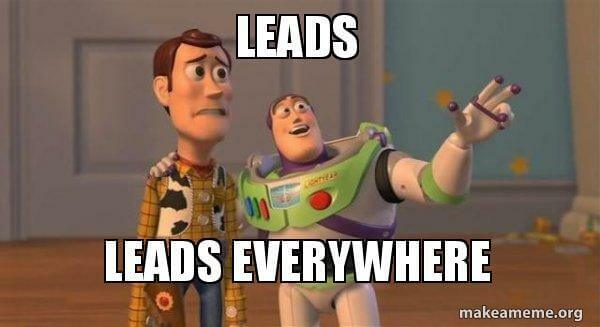 For marketers, the right lead magnets can generate more leads than you ever thought possible ... Buzz's words, not mine. You might recognize this handsome soldier from The Lord of the Rings trilogy. But Boromir, son of Denethor, is much more than a warrior of Gondor. In the scene above from the Fellowship of the Ring, Boromir explains how "one does not simply" walk into Mordor, an evil region of Middle Earth where few have survived. Everyone has their own version of Boromir's grave warning. In marketing circles, Google might as well be Mordor for search engine optimization (SEO) specialists. While most memes are very easy to hijack, some can be a bit more complicated if elements like video are involved. For example, DreamWorks featured its Shrek-based character, Puss in Boots playing the Old Spice Man in the above trailer to promote the 2011 movie spinoff, Puss in Boots. However, even memes that have originated as videos have been successfully adapted into images, as evident by the Old Spice Man meme, which originated as a series of videos. But hey, if you have a talent for video and feel you can hijack that popular new video meme, go for it! Because memes are often very simple (like the one I created by hijacking the 'Y U NO' Guy meme), they're usually simple creations. Some basic knowledge of a photo editing tool like Photoshop (or hey ... even Microsoft Paint can sometimes do the trick) can come in handy when hijacking brand new memes. But you'll find there tons of meme templates out there, like Meme Generator, quickmeme, and Make a Meme -- all of which make it extremely simple to hijack popular memes. For example, to create my meme for this post, I conducted a Google search for "Y U No Guy Meme Generator," and came across MemeGenerator.net's tool, enabling me to create the meme pictured at the top of this post. Once you pick a tool you like, you can either select from the blank memes in the tool's gallery, or upload your own. Then, you'll have the option to customize the text on the top and bottom of the image you've selected. Then, download your newly branded meme and post it on the channel of your choosing. Just be sure to add additional context if the meme is being shared alongside a larger story or campaign. Ready to do some memejacking of your own? Here are our top memejacking tips. The most successful instances of memejacking for marketing occur when a meme is at its tipping point -- it's started to spread wildly, yet few have hijacked it. This is your memejacking sweet spot, since memes can start to feel old after everyone and their mother has hijacked it. 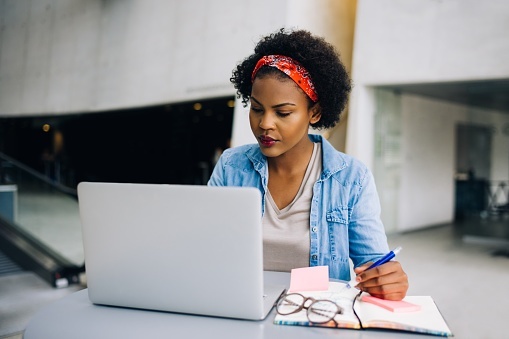 To stay ahead of the curve and stay on top of trending memes as they start cropping up, browse social bookmarking sites like Reddit or StumbleUpon, which are known to surface up-and-coming memes before more mainstream social networks like Facebook and Twitter. In fact, just staying well connected online and abreast of the latest news can keep you on top of the latest breaking memes. Before you memejack, make sure you're well educated about what the meme means and implies. The last thing you want to do is offend your audience or memejack something you wouldn't have if you had fully understood the connotations of it. Luckily, the folks at Know Your Meme are usually on top of the popular memes, their histories, and their claims to fame so you can determine whether a meme is appropriate for your audience. Ask Yourself, "Will Our Audience Appreciate It?" To piggyback off the last point, understand that using memes will only be successful in your marketing if your audience appreciates the particular meme you're hijacking. If your audience doesn't have any connection to the meme, doesn't understand it, or doesn't think it's funny, it doesn't matter if it's already been wildly popular among a general internet audience. Most importantly, make sure your memejacking isn't at the expense of being relatable. The way you hijack your meme should have something to do with your brand, industry, etc. If it's a stretch to create a funny meme that relates to your brand, then it's probably not worth doing. 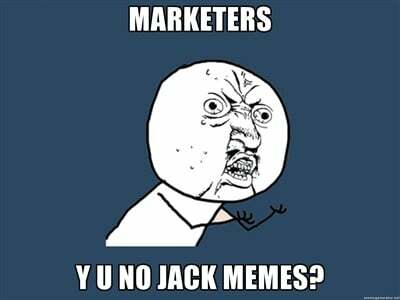 The most successful memejacks are those that cleverly incorporate some essence of the brand -- its industry, messaging, mission, slogan, etc. Remember, posting content about subjects related to your brand often generates the most engagement. In other words, posting content unrelated to your brand -- like the latest internet meme that can in no way be aligned with your brand -- just isn't going to cut it. The most successful examples of memejacking have entertainment value, so while it's critical to make sure your audience can relate to it, don't aim to be serious. The tone should be funny and/or witty, so use language and copy that achieves those goals. Make sure your memejack sticks to the original meme's format, style, and includes the same components. Otherwise, you'll have a memejacking #FAIL on your hands. 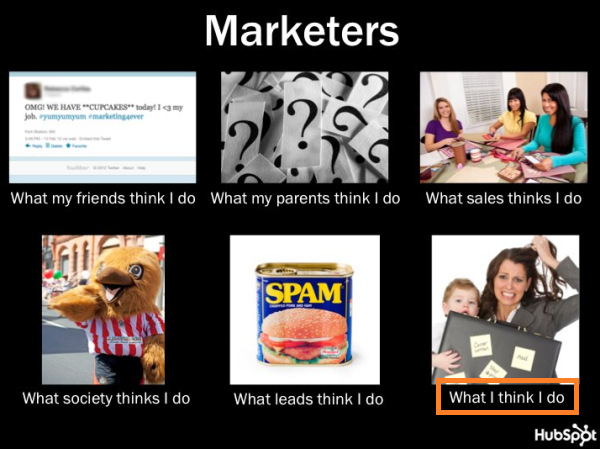 Remember the meme above that HubSpot hijacked on our Facebook page -- the 'What People Think I Do/What I Really Do' meme? Take another look at our 'Marketers' version. It appears to be missing the critical 'What I REALLY Do' frame, doesn't it? While this oversight (luckily) didn't really affect the success of our meme, we did feel a bit silly about it when a commenter called us out on it. Whoops! Plain and simple, plant your meme in prime sharing environments -- social networks. Facebook, Instagram, and Pinterest are perfect social networks for memes because they're all sites where visual content thrives. Post your meme to your Facebook and Instagram pages accompanied by a witty remark or brief description, and pin it to an appropriate pinboard on Pinterest (perhaps you can create a board dedicated to memes). You can also share it on Twitter, in addition to other niche social networks you might have a presence on -- just don't let meme creation detract from the primary reason your audience might follow you on these more versatile channels. Don't just share your meme on social media. 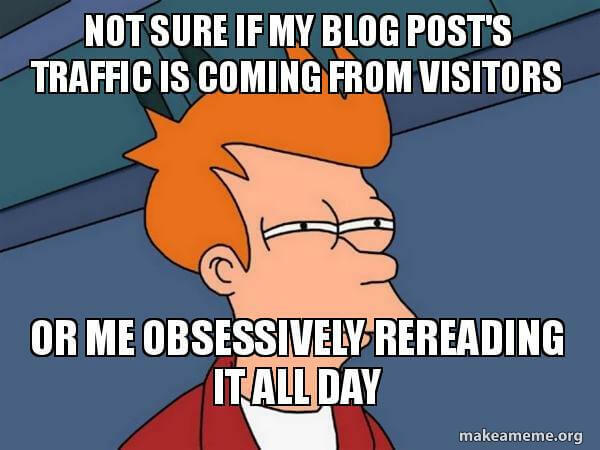 Create a blog post that presents a situation your meme reflects perfectly -- just remember to still add a call-to-action to the post so you can optimize it for lead generation and convert any visitors into leads. This will also give you something to link to when you share your meme in social networks. If you do decide to put your meme on your website -- either in a blog post or on another web page -- be sure to optimize that page for social sharing. Make it easy for your visitors to share your meme themselves by adding social sharing buttons, particularly for visual social networks like Facebook, Instagram, and Pinterest. This will help to extend the reach of your meme, as visitors will share it with their own personal connections in social media, getting visibility for your meme beyond your direct network.